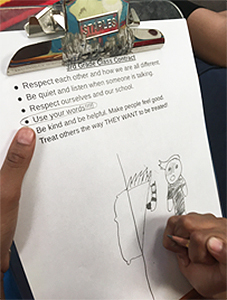 Gabby's post, Creating Monuments of Our Classroom Rules After Charlottesville, was published on the Teaching for Change website! It details what we did next after writing postcards for Charlottesville and how we eventually developed our class "contract" or rules. Please read and let us know what you think!